We supply a wide range of pet foods & supplies. 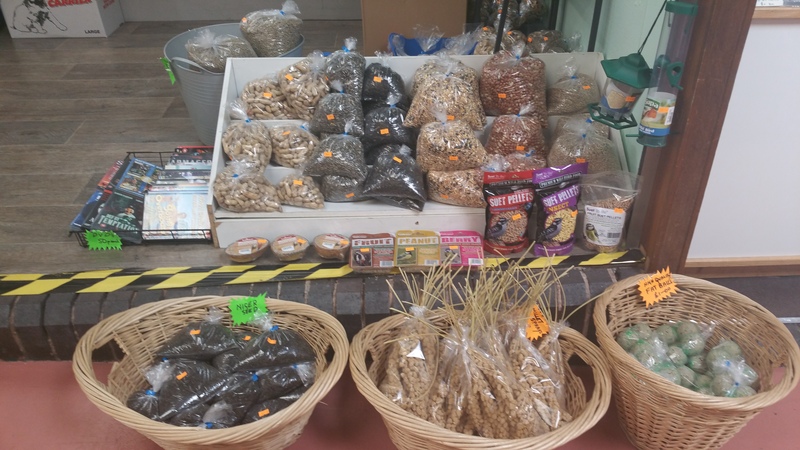 We also sell freshly weighed wild bird seed, peanuts, sunflower hearts etc. We sell the cheapest millet around £1.00 for 10 strands! We wil l order products requested by customers and help to search and supply specific orders within a few days. We also do an engraving service on dog and cat discs for only £2.00 each. We have a selection of pet toys and accessories, collars/leads and we also do some speciality supplies too and we can order products for you if not in stock. We also stock live fish food (bloodworm’s & Daphnia) 55p per bag or 3 for £1.40. We offer 10% discount to senior citizens every Wednesday. Call in and have a look around.